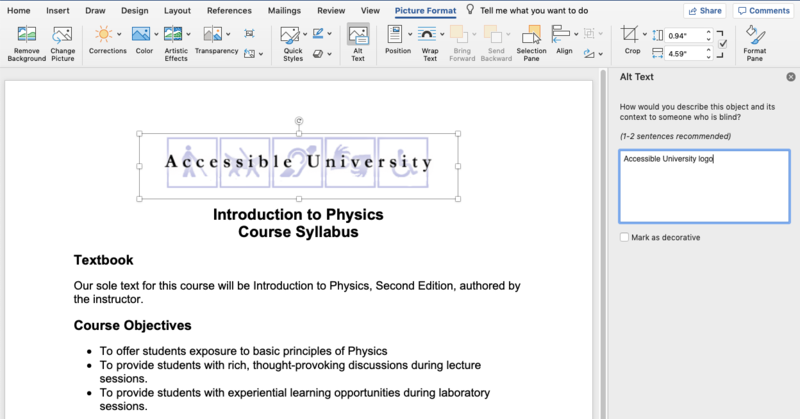 Microsoft Word is a commonly-used application among individuals with a variety of disabilities, and is reasonably accessible. The text within Word documents can be read by assistive technologies such as screen readers and Braille devices. 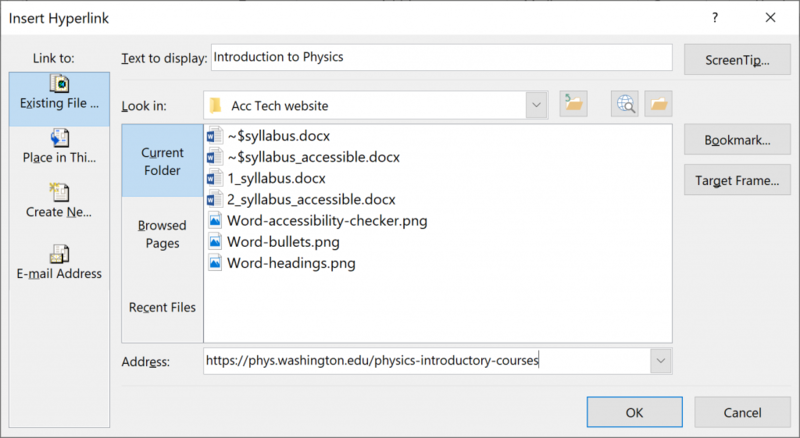 However, in order for Word documents to be fully accessible, authors must follow the core principles outlined in the Overview of Accessible Documents. Below are the basic steps for implementing these core accessibility principles. Making text larger and bold does not make it a heading. In order to convert text to a heading in Microsoft Word, you must use the built-in Heading styles like “Heading 1” and “Heading 2”, available under Styles in the Home tab. Visit Microsoft website for more information about creating Headers in Word. 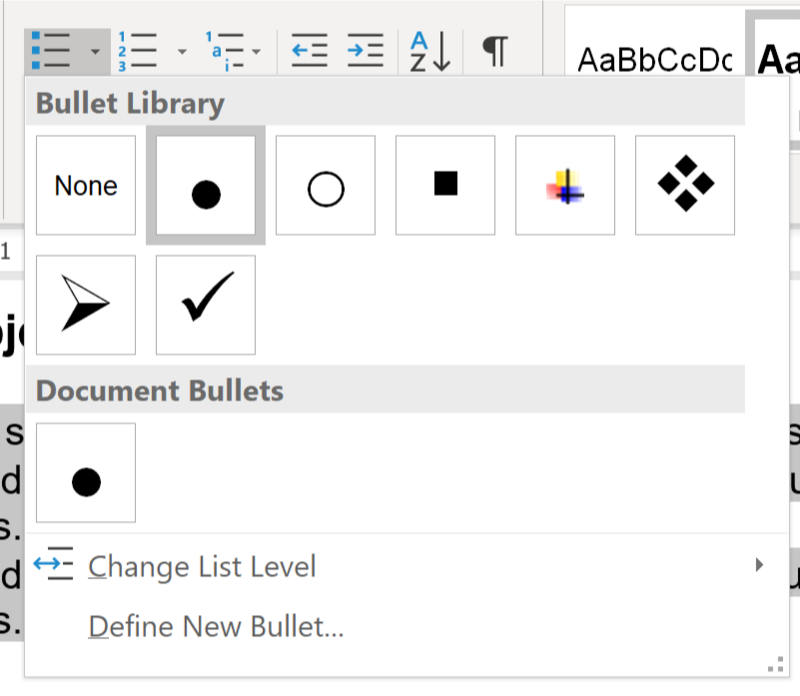 Lists should be created using Word’s built-in tools for ordered (numbered) and unordered (bulleted) lists. Without using these tools, a list is not really a list, which makes the content more difficult for screen reader users to fully understand. Adding meaningful hyperlinks in Word is simple. Include language in your document that conveys relevant information about the destination of the link, highlight that text and right click and select Hyperlink. Include the URL in the Address field and select OK.
Visit Microsoft website for more information about creating accessible links. In most versions of Word, you can enter alternate text by right clicking an image and selecting Format Picture. Within the Format Picture dialog, select Alt Text and enter information in the Description field. 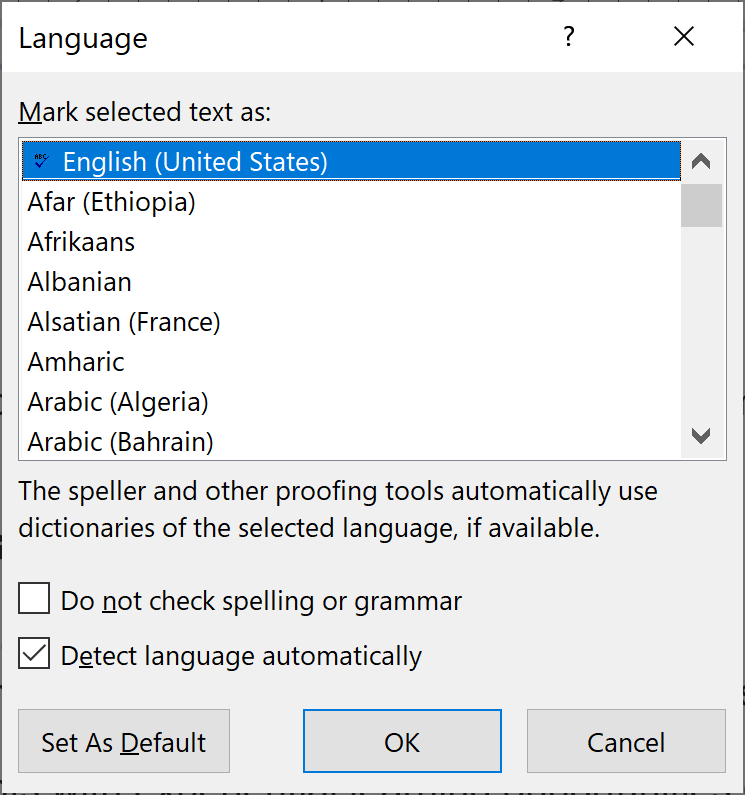 NOTE: Currently language settings only effect accessibility of the Word document itself. They do not survive when exported to PDF. If PDF is the final format in which you intend to distribute your document, you will need to define language in the PDF directly using Adobe Acrobat Pro. 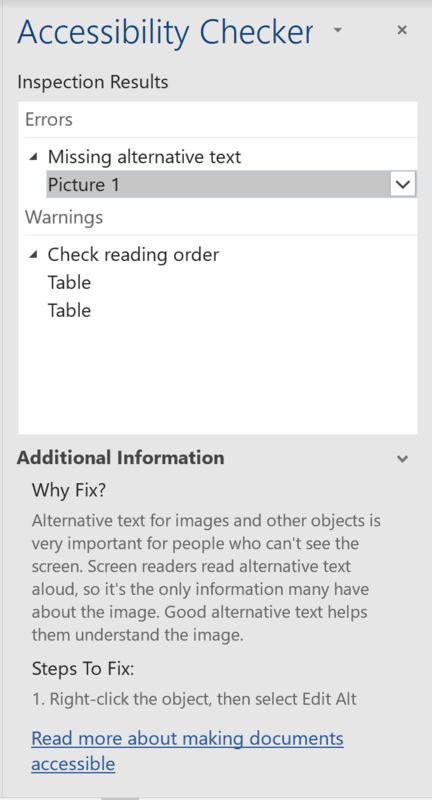 For help see Fixing Inaccessible PDFs Using Acrobat Pro. Word has limitations when it comes to making tables accessible. As explained in the Overview of Accessible Documents, tables can be very difficult for screen reader users to understand unless they include markup that explicitly defines the relationships between all the parts (e.g., headers and data cells). 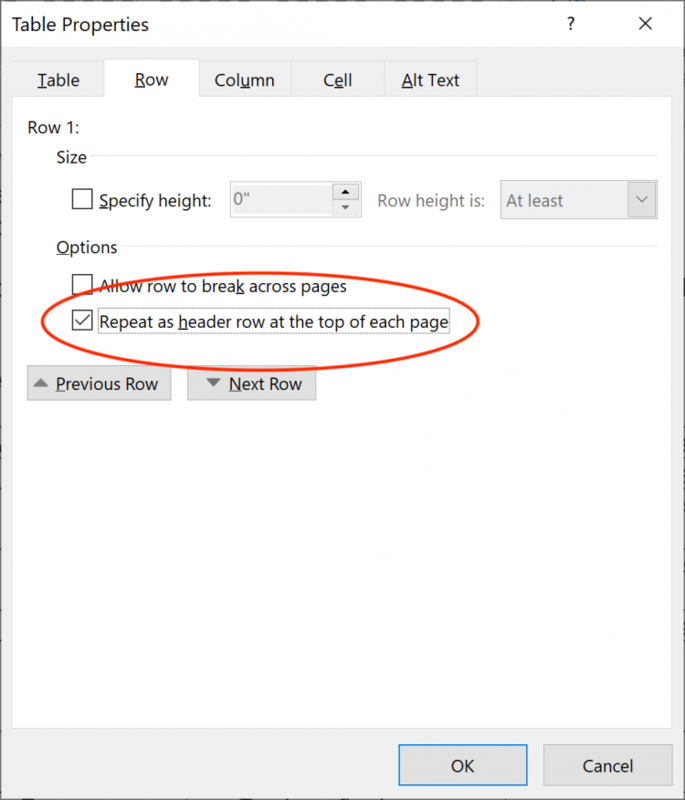 For a simple table with one row of column headers and no nested rows or columns, Word is up to the task. However, more complex tables can only be made accessible within HTML or Adobe PDF (accessible table markup can be added to the PDF using Adobe Acrobat Pro). Visit Microsoft website for more information about creating Accessible Tables. There are right ways and wrong ways to export to PDF. The steps required depends on which version of Microsoft Word you’re using. For details see Creating Accessible PDFs from Microsoft Word. 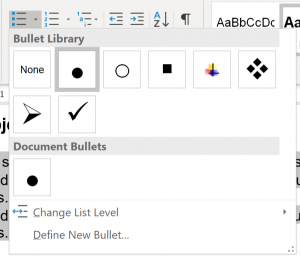 As Word documents increase in complexity, accessibility challenges can also increase. See Getting Help With Accessibility for available options.